HTC has announced that its Vive Focus Plus, the new virtual reality headset presented last month, will be available from April 15 at a price of $799. The Vive Focus Plus is a completely standalone VR headset with automatic tracking capabilities, vaguely similar to the next Oculus Quest, but focusing on another type of target market. HTC does not aim for the video game market here and instead decides to target its new Vive Focus Plus to business customers. The new device is described as a product for business users who will be able to purchase it in 25 markets with support for 19 languages. However, the Taiwanese company will allow visitors to the Vive Ecosystem Conference to try out 15 different apps dedicated to the device, including a game about a VR simulation of paintball where the viewer will be matched to a particular jacket. 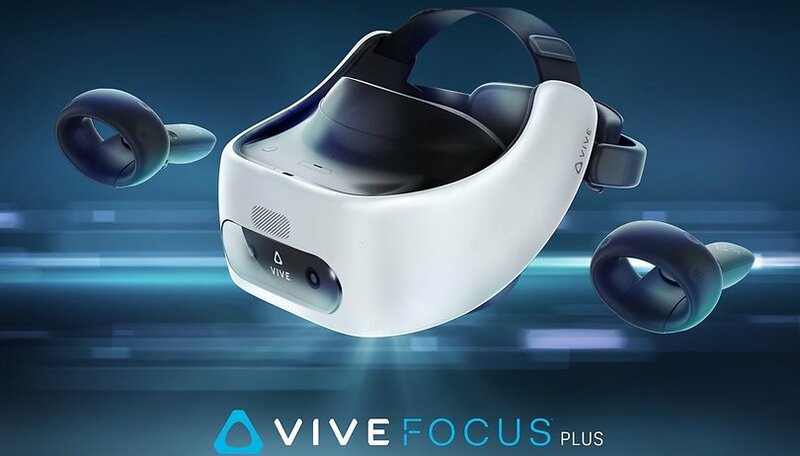 Vive Focus Plus, like the original Vive Focus, is based on Qualcomm's Snapdragon 835 processor and features a screen that offers a resolution of 1440x1600 pixels per eye, as does Oculus Quest and other new VR headsets. The Vive Focus and Focus Plus both use integrated cameras for tracking, eliminating the need for cables or external cameras. Instead of being supplied with the classic controller of the original Vive Focus, the Plus variant has a pair of controllers tracked through the internal cameras. This is the detail that surely raises the original price of $599 by another $200.